Back with another recipe. Don't worry, I'm still putting in lots of garage hours and have a couple cool new projects I will be sharing with you soon. In the mean time, I thought I would share my favorite soup recipe with you. 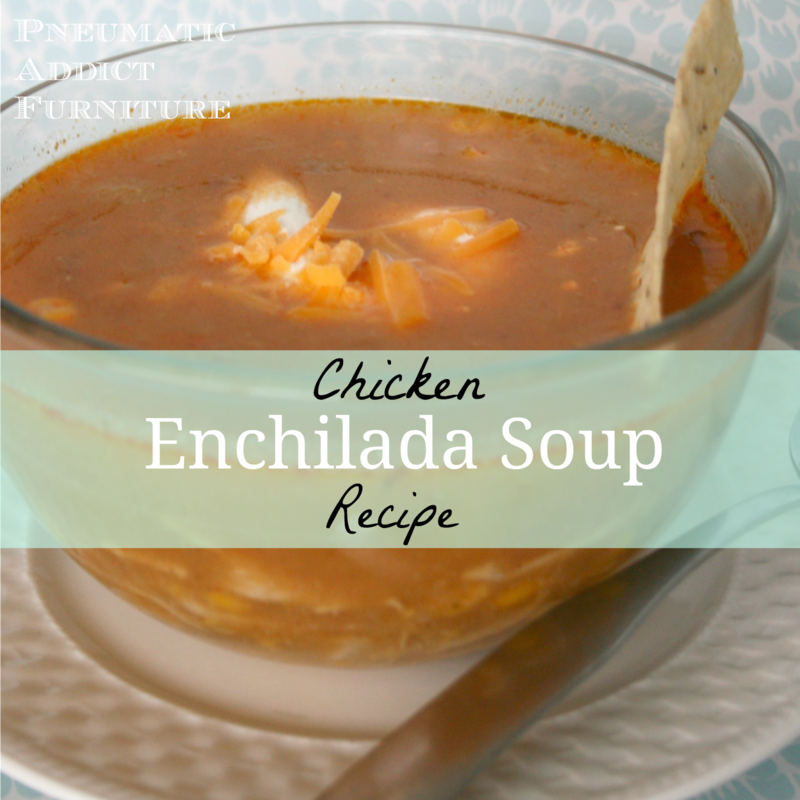 This is my go-to soup that I always take to a pot-luck, and its always a big hit! Satisfying and easy to make too. Boil 2 boneless, skinless chicken breasts till cooked through. Allow the chicken to cool, then shred. Heat olive oil in large stock pot, over medium-high heat. Add diced onion. Cook until the onion starts to sweat. Cook until tomatoes are tender. Add chicken broth and can of enchilada sauce. Bring to boil. Add chicken and simmer for 10 minutes. Add milk, dried spices and frozen corn. Bring back to boil. In food processor, pulverize tortilla chips into a fine powder. Add 1/2 cup tortilla chip powder to soup and stir well. Add shredded cheese and stir until well incorporated. Before serving, garnish with a dollop of sour cream, shredded cheese, and tortilla chips. A big bowl of this soup sure hits the spot.